Venice: What Does the Floating City do with Its Dead? 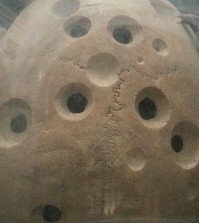 Home > From the Grave > Death and Burial in Venice: What Does the Floating City do with Its Dead? In Venice the dead are ferried through the canals on ornate funeral gondolas to a cemetery island where their afterlife is only guaranteed for as long as they can pay. Eventually, though, Venetians needed somewhere else to go with their mortal remains. 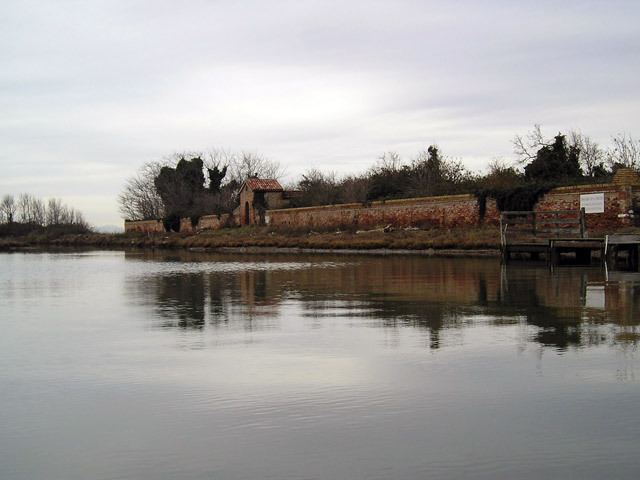 The small island of Sant’ Ariano, a remote islet only accessible by a desolate winding route through shallow channels and mud flats, was once home to a Benedictine monastery where nuns from the most distinguished Venice families lived before environmental decay drove them to nearby Torcello. 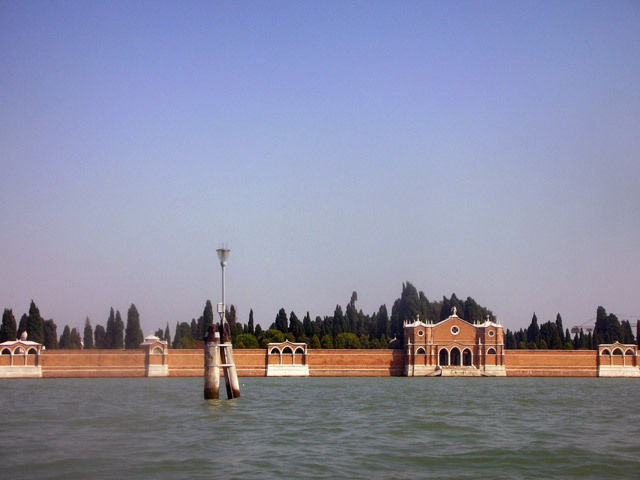 In 1565, long abandoned by that point, the island was sanctioned by the Venetian Senate for use as an ossario. It became a dumping place for remains that were being removed from the city’s cemeteries to make room for new burials, and was in use for over three hundred years. By the time the island was finally closed in 1933, a layer of bones three meters deep had amassed within it’s stone walls, which can still be found today beneath the thickly overgrown brush. In 1807, under French occupation, burial within the city was deemed unsanitary due to disease that washed up from the graves through flooding. An island called San Cristoforo was then designated as the city’s new burial grounds. In 1836, the canal between it and a neighboring island was filled in to create a single 4-acre cemetery called San Michele. Due to extremely limited space, however, San Michele wasn’t necessarily a final resting place. After a period of 12 years, if families were unable to pay maintenance fees, the remains of their loved ones were exhumed and relocated to Sant’ Ariano to make room for new burials. This practice is still employed today, but since the ossuario is no longer in use, evicted remains share a common grave on San Michele. softest, most luxurious, most deeply relaxing seat in the whole world? A gondola ride used to be a prestigious affair for affluent members of Venetian society. These days, however, it is regarded as “shamelessly touristy” according to Walks of Italy, and you are unlikely to find a local on one (besides the gondolier) unless it’s for a wedding ceremony or a funeral. Touristy or not, what’s not to love about the idea of being ferried through the Venice lagoon toward the sweet hereafter? “In Venice, the City of the Sea, the poetry of burial is more fully brought out than in any other part of Italy. Indeed, many of the usages and customs in this city are beautiful in the extreme, and, in the case of the burial of the dead, often picturesque and touching beyond description. In the case of a young maiden who had early closed her eyes on the loves and sorrows of this world, the ceremony of conveying her to the grave was marked by the poetry and grace so inseparable from all the customs of the sunny land of Italy. 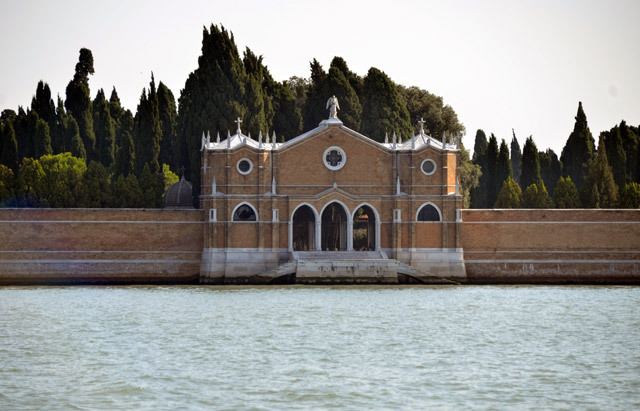 The dead girl was conveyed in a gondola through the canals to her last resting place, in some small island necropolis close to the city. 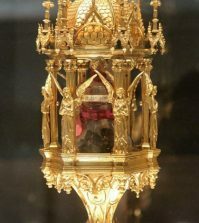 In this funeral vessel, the body, sometimes elegantly attired and covered with flowers, reclined on a raised couch, beside which her nearest relatives knelt, while a priest sat at the foot of the bier, chanting the service for the dead, in which the bearer of a sacred standard with a cross joined. The solemnity and impressiveness of the mournful cortège could scarcely be surpassed. 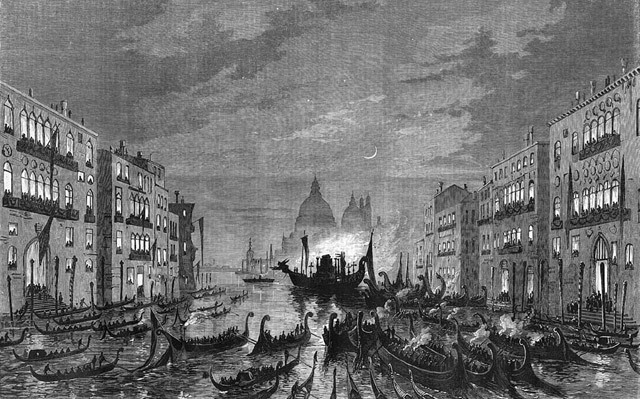 But it seems no funeral in the canals of Venice was as grand as the procession held in 1868 for patriot and revolutionary Daniele Manin a decade after his death. Manin, a hero for the unification of Italy in the nineteenth century, spent his last days exiled in Marseille by Austrian forces that took Venice in 1849. Upon his death, he was interred in the family tomb of painter Ary Scheffer in Paris. Austria departed Venice following the Third Italian War of Independence in 1866. 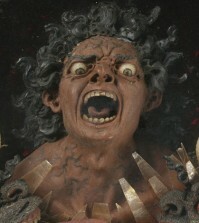 Manin was exhumed two years later and brought home to Venice. 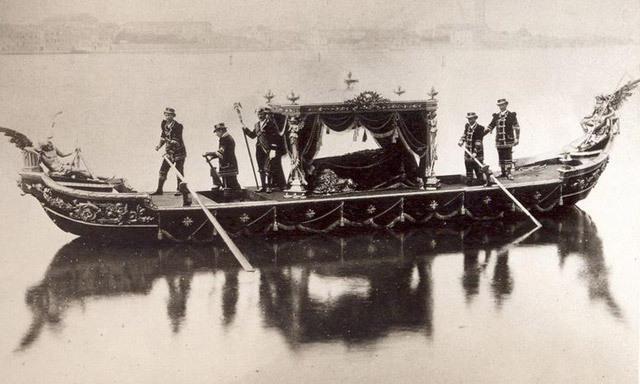 His ashes were carried down the Grand Canal in a “magnificent” procession of black-draped gondolas to his final resting place at St Mark’s Basilica. According to Cook’s Handbook to Venice, published in 1874 by Thomas Cook & Son, Manin was the first in three centuries to receive the holy rite of burial there. In Germany we have not much more time for eternal rest. Children 5 years, adults sometimes only 18. On our cemetry it is 0 years, it has been 5 in the 1970’s. Next year I have to pay thousands of Euros again, or my Mother and my Grandfather will be destroyed. Yes, they open the grave, destroy the coffin, and then the remains. If you gave your Mother a ring or so intgo her grave- we did so- they are allowed to take it. After my Mother was buried, we found huge parts of my Grandmother’s skull in the soil, she was buried there, too. It is so nasty. I cannot let my Mother and Grandfather go. My sister refuses tio pay, and anybody tells me, I shouldn’t, too. I can’t. If I could, I would pay for them until the end of the world. The humans which I loved the most in my whole life, and which gave and did everything for me. I wished time would go back, and they would be with me again. I would never let them go. How could I turn myself from their grave? 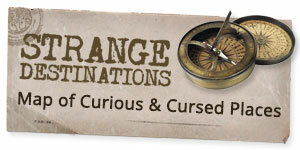 I think this sounds like a lovely way to begin one’s soul journey. 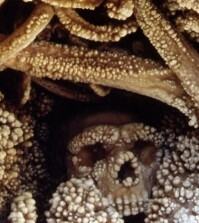 And the thought that my bones would eventually be used for agricultural purposes puts a smile on my face. Too bad that I live in Chicago.